(Beyond Pesticides, July 27, 2017) Earlier this week U.S. Senators Tom Udall (D-NM) and Richard Blumenthal (D-CT) introduced a bill that would ban use of the insecticide chlorpyrifos. The Protect Children, Farmers and Farmworkers from Nerve Agent Pesticides Act, S. 1624, comes one week after an appeals court refused to require the U.S. Environmental Protection Agency (EPA) to make a decision over whether to ban the chemical. Removing this neurotoxic insecticide from the environment would significantly reduce health risks for children and farmworkers in underserved rural communities, build pressure to address all toxic organophosphates, and help push U.S. agriculture in a more sustainable direction. As with other organophosphate class chemicals, chlorpyrifos, first registered in 1965 by Dow Chemical, is derived from nerve agents used during World War 2. 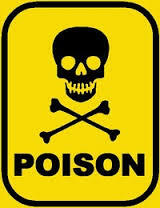 The chemical is linked to a range of negative health and environmental outcomes that warrant its prohibition. Children are at particular risk from the chemical due to their developing immune, organ, and nervous systems. As with other organophosphate nerve agents, the chemical acts on the body’s nervous system, inhibiting the movement of neurotransmitters called cholinesterase. Chlorpyrifos chemically binds to the site where cholinesterase would in the body, preventing normal nerve impulse transmission. While the outward display of this effect is seen as incessant twitch of the body, the internal effects can lead to long-term decreased motor function, impaired cognition, behavioral disorders, and lower IQ. Many organophosphates like chlorpyrifos are also endocrine disruptors, which mimic naturally produced hormones, and block hormone receptors in cells. As one may expect, this effect is particular concerning for children. Health risks of endocrine disruptors range from learning disorders to obesity, infertility, early-onset puberty and childhood cancers. These impacts, as shown by an international team of scientists led by researchers New York University, result in organophosphate-exposed children having lower lifetime earnings, causing a ‘brain drain’ for the economy that costs the U.S. over $44.7 billion annually. Given the multitude of health risks associated with the chemical, many Americans are sickened by the current Administration’s decision to play politics with children’s health. Late last month, reports surfaced that Administrator Pruitt met privately with the CEO of Dow Chemical only weeks before reversing the agency’s decision on chlorpyrifos. Ultimately, a federal ban on chlorpyrifos should be the beginning of the end of the use of organophosphate insecticides in pest management. Like DDT and organochlorine chemicals before it, it has taken decades for EPA, under the previous administration, to acknowledge the full extent of the dangers these chemicals pose to human health and the environment. And even once those dangers are brought to the public, again and again the pesticide industry uses all available means – media spin, disreputable science, and political influence- to slow the tide towards safer practices. As a result of greater public awareness and actions to restrict a number of organophosphates, recent EPA data show declining uses of these chemicals. In the year 2000, roughly 70 million pounds of organophosphates were applied in the U.S, representing 71% of all insecticide use. While this number dropped to 33% by 2012, there are still 20 million pounds of these neurotoxic, endocrine disrupting chemicals applied each year, and disproportionately in low-income and vulnerable communities, where children and farmworkers are most greatly impacted. Banning chlorpyrifos, as proposed by the sponsors, must be accompanied by additional measures to encourage practices that do not replace the chemical with other organophosphates, or lead farmers to turn to newer insecticides like synthetic pyrethroids and neonicotinoids, chemical classes for which a robust body of documented hazards is already available. As Beyond Pesticides continues to argue, organic production practices represent the only real sustainable path forward for U.S. agriculture. By creating a system that fosters natural resiliency through biodiversity, pest populations do not reach the point where toxic pesticides are necessary. These practices lead to healthier working conditions for farmworkers, their families, and children in rural agricultural communities. This entry was posted on Thursday, July 27th, 2017 at 12:00 am	and is filed under Agriculture, Children/Schools, Chlorpyrifos, Environmental Protection Agency (EPA), Farmworkers, Pesticide Regulation, Uncategorized. You can follow any responses to this entry through the RSS 2.0 feed. You can skip to the end and leave a response. Pinging is currently not allowed.